simply not paying attention to the road. 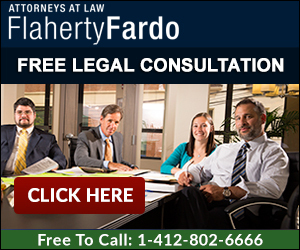 Flaherty Fardo, LLC are experienced accident attorneys who have handled a multitude of vehicular accidents and have the resources necessary to properly investigate your case. If you are injured, we will make such necessary accommodations to provide the most convenient consultation. We routinely hire private investigators and automobile reconstruction experts immediately upon being retained.